It is finally the weekend and I am so excited because we are going to a family wedding tomorrow! I have surprised myself at how organised I am with getting our outfits all ready and getting the card and wedding present sorted too. We went to the mehndi the other day for a little celebration with family and friends; I and my daughters got henna done for the wedding which looks amazing, I might post a little more up about the mehndi in a few days. 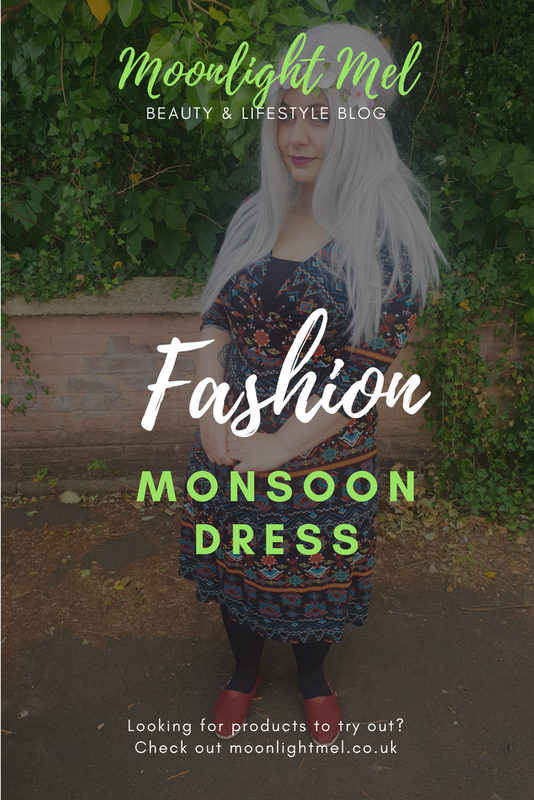 Now you are probably wondering 'whats with the blog title monsoon dress? well its given me such "unexpected confidence'. 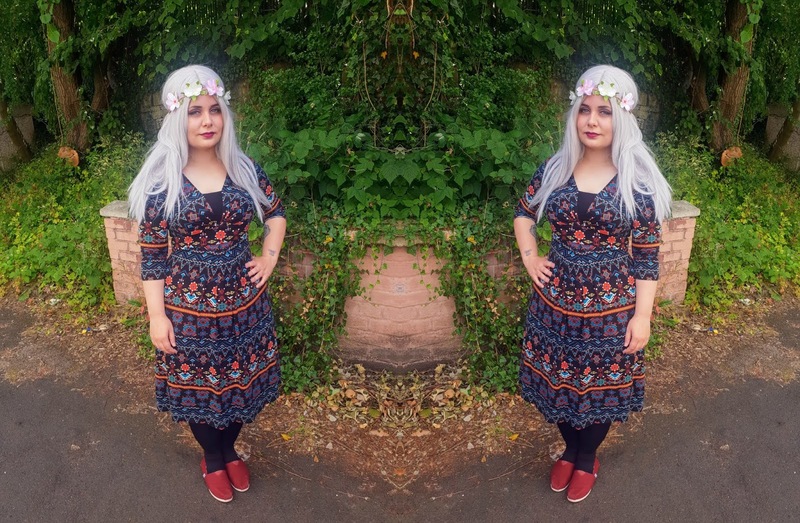 In the past when it comes to wearing something different I just basically just wore something in my comfort zone which was usually a hoodie with leggings or joggers. Now I still wear these things but just not as often. 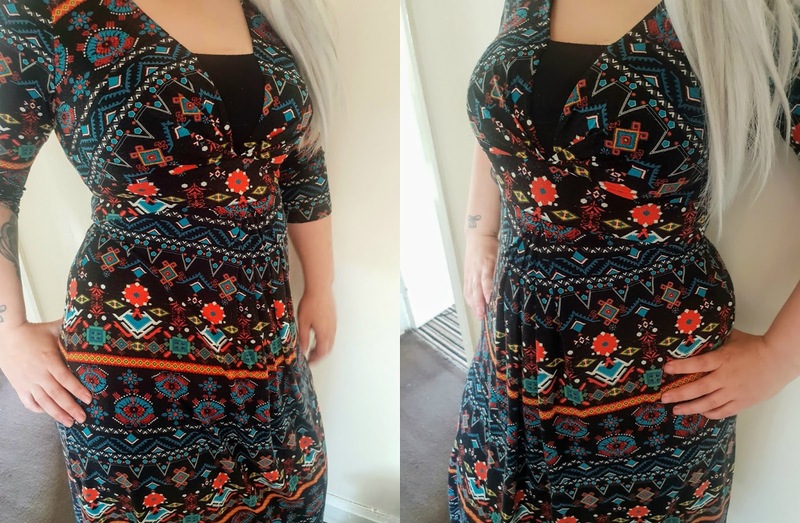 I have had dresses in my wardrobe for so long and some of them have been there for years that have only been tried on but never worn outside... till now that it. I have had this Monsoon dress since 2016 and the last time I wore this dress was for Eid 2016 but I just never thought I suited it and I thought the style wasn't brilliant for me but I decided to give it another chance and try it out. 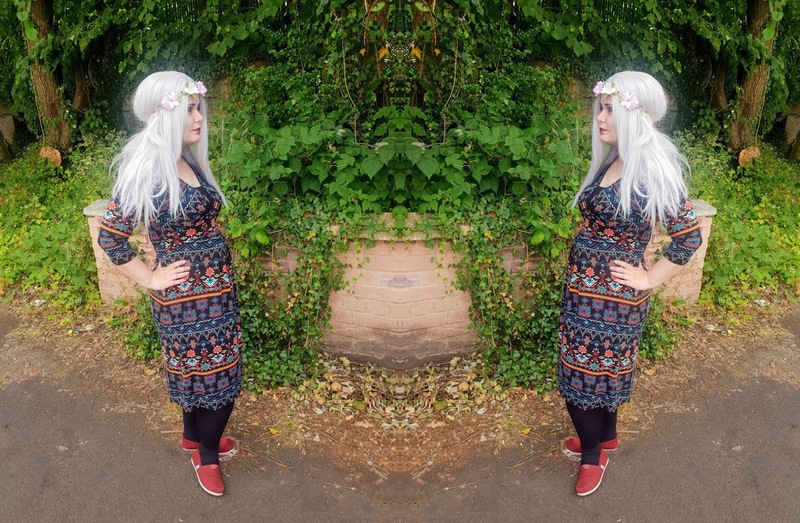 I teamed it up with some tights, my new toms and my ice queen lush wig and I thought omg I look fabulous. I have surprised myself since the start of the year by trying so many different fashions and Il says just a few. I wore ripped jeans ( NEVER have I wore them before) but honestly I just love them. I wore skirts above the knee and let my tummy show ( I usually hide my tummy in my trousers) but I just went natural and I actually thought I looked fab. In the future, i am definitely going to be more adventurous and try different things including wearing a bikini, wear shorts and also dangerous. Basically its all the fashion I have wanted to try but in the past I never had the confidence to try. I hope you all loved this post! If so why don't you follow me on my other social media channels? Given beneath are a few tips which can assist avoid this confusion and make certain that the buyers get the correct human hair wigs that match their personality and style in a natural manner. Red wigs https://www.everydaywigs.com/red-wigs-c-14.html here are a few beauty recommendations every daydayeveryday in maintaining your wig searching glamorous.